Memories of Mewar (I): Kumbhalgarh and Ranakpur. - Ghumakkar - Inspiring travel experiences. Memories of Mewar (I): Kumbhalgarh and Ranakpur. The Mysore-Ajmer Express (Train no.16210) departed from Pune Junction at 6.50 pm. Both of us had been allotted upper berths even though I had booked 60 days in advance. However we managed to get one lower berth after exchanging with a co-passenger, and we were happy to have a pair of side upper and side lower berths. The train goes via Kalyan, Vasai Road, Surat, Vadodara, Ahmedabad, Abu Road and Falna. We had our dinner of packed sandwiches and climbed into our berths at 9.30 pm to grab our forty winks. 17-July-2104: Thursday: Arrive in Falna at 2.30 pm. Drive to Club Mahindra Kumbhalgarh. We had breakfast of dhokla curry, kachoris, and chilly pakoras bought at Ahmedabad station, washed down with a bottle of chilled Amul kesar flavoured milk. Around noon we also had some aloo parathas and veg pulao served up by the pantry car in the train. The train arrived at Falna at 2.30 pm, an hour late. I had pre-booked a cab through ‘Rajasthan Taxiwale’, and Rajkumar, our cabbie, called us while we were in the train and told us that he was waiting for us with his Tata Indigo since 1pm. Rajkumar took us to Kumbhalgarh via Sadri and Ranakpur. We did not halt at Ranakpur and carried on towards Kumbhalgarh. The drive was very scenic, specially after Ranakpur as we were passing through the wildlife sanctuary. 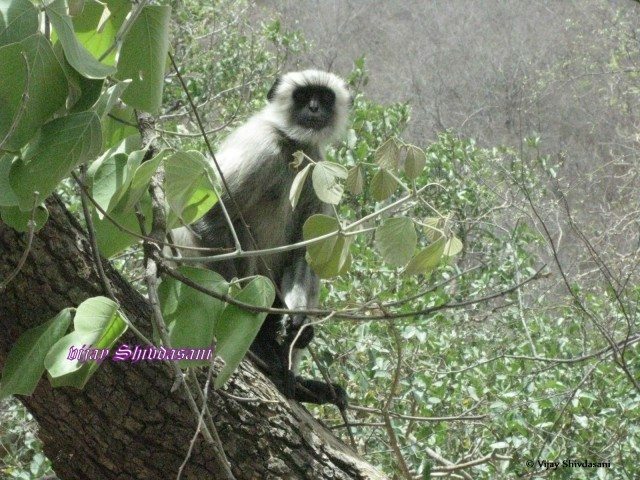 There were a lot of curious langur monkeys peering at us from the roadside as we passed them. There was a very steep ascent after passing through the forests, and we could feel the car engine straining in first gear to make the grade. After that we passed through some rustic Rajasthani villages with narrow pot-holed roads till we finally arrived at the Kumbhalgarh Fort junction, near Hotel Aodhi. From there it was a 5 km drive downhill till we reached Club Mahindra Fort Kumbhalgarh at 4.30 pm. We were welcomed with a glass of rose sherbet and checked into our a/c studio apartment room. It was tastefully furnished and had a nice sit-out with a green hedge surrounding it. It had a cozy kitchenette with a dining table, microwave oven, toaster, mini fridge, tea maker and basic utensils. The bathroom had a walk-in closet. 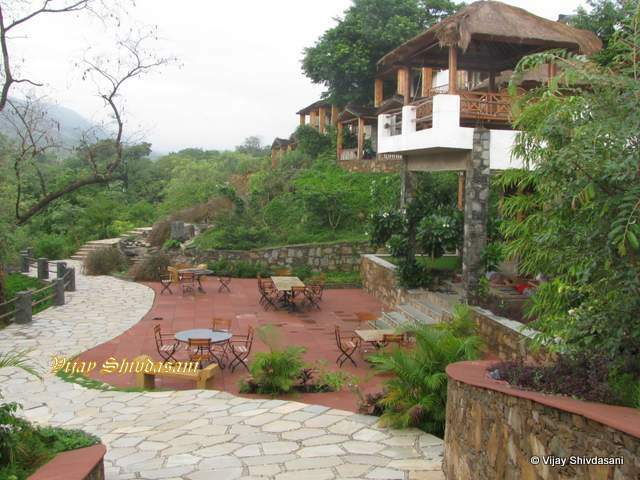 Club Mahindra’s Fort Kumbhalgarh is a Royal Retreat set amidst rural and rustic surroundings in the Mewar region of Rajasthan. Its architecture and setting in the Aravalli hills gives you the feeling of living like the warrior kings of the region lived decades ago. 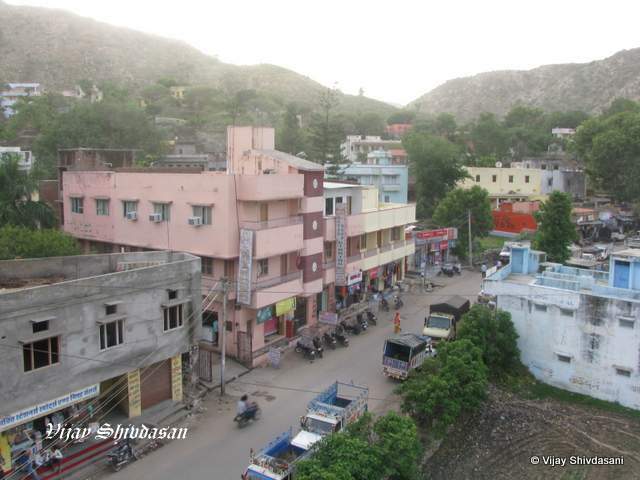 At the same time it is not at all like the desert region that Rajasthan is famous for, and there is a lot of greenery all around, and being at an elevation in the hills the climate is quite pleasant, even in summer. There is a grocery store where you get your basic requirements for breakfast like bread, butter, cheese, milk and noodles. The restaurant serves excellent buffet as well as a la carte and you have the option of dining at the restaurant or out in the open-air Gazebo, which has a barbeque. Food is priced a bit on the high side. There is a lone street-food stall located just outside the gates, where you can order parathas, dal and subji, if you don’t mind compromising on quality and hygiene. There is a nice clean swimming pool with aqua-zorbing facility. It gets quite crowded here in the evenings since it’s not very big. There is also a spa and beauty salon. There are activities for kids in the Fun Zone, and there’s also an artisan available to teach you the basics of pottery. Cultural shows are arranged in the evening where local artistes perform live. After enjoying 2 days in our Studio Apartment we shifted to a Tent (Hotel Unit) as we wanted to savour this experience too. 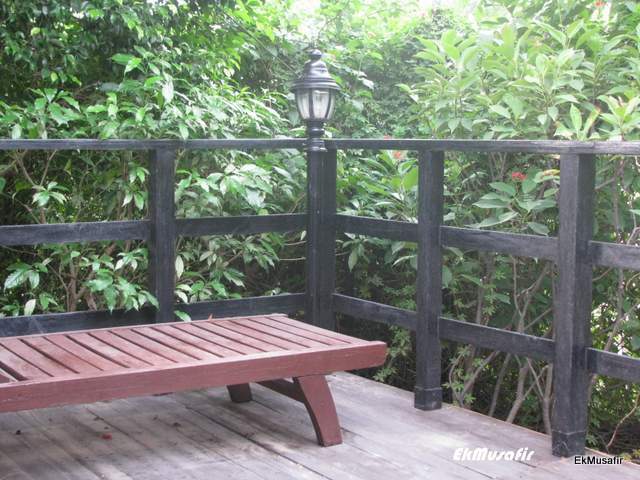 We were lucky to get one located right at the edge of the property with a fabulous view of the hills all around. We would sit outside and have our morning cup of tea. There was also a deck chair where we could relax and do some bird watching. It was truly an out-of-this-world experience. Inside the tent was well furnished and air-conditioned, and even had a rocking chair. However being a Hotel Unit it did not have a kitchenette. We enjoyed the food at the restaurant, and had their ‘Pizza Rusticana Gardenia’ at the Gazebo. Deck chair outside our tent. 18-July-2014: Friday: Exploring Kumbhalgarh and Kelwara. 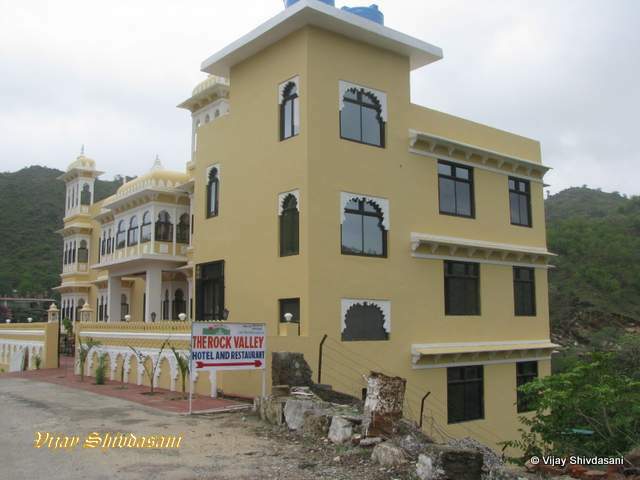 Our resort was located about 2.5 km from the nearest town, Kelwara. I went out for a morning walk towards Kelwara. 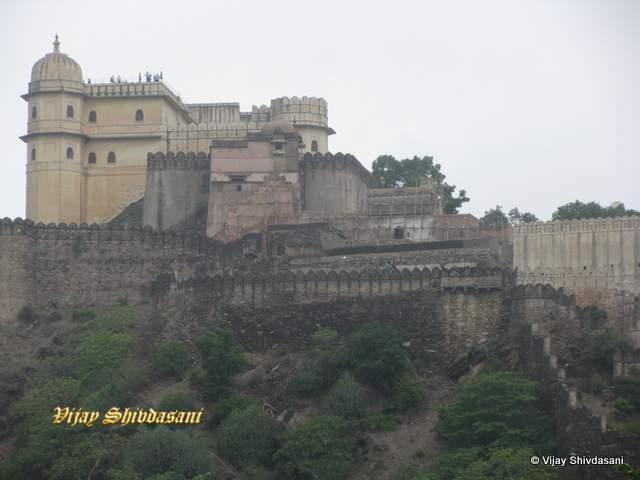 The famous Fort of Kumbhalgarh is 6 km in the other direction. 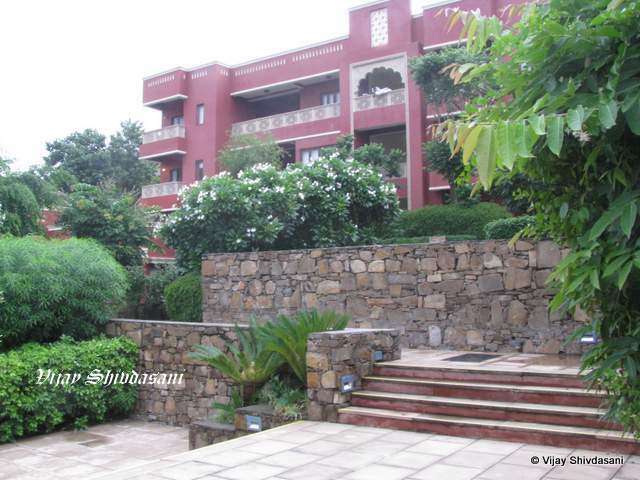 Once you step out of the resort you enter straight into rural Rajasthan. 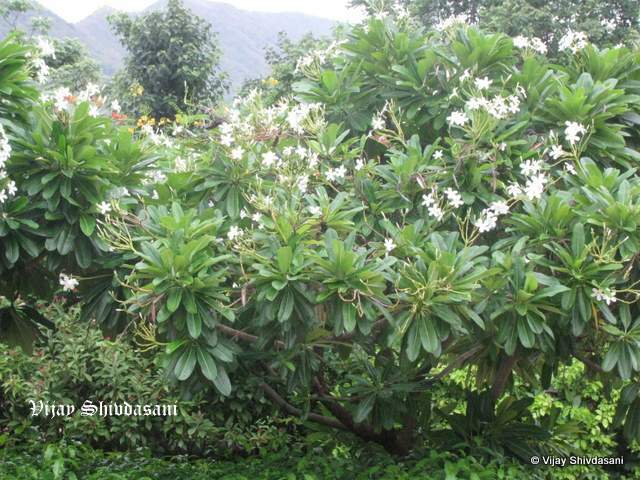 You are surrounded by the beautiful trees and shrubs along the roadside, and the undulating hills in the near distance. 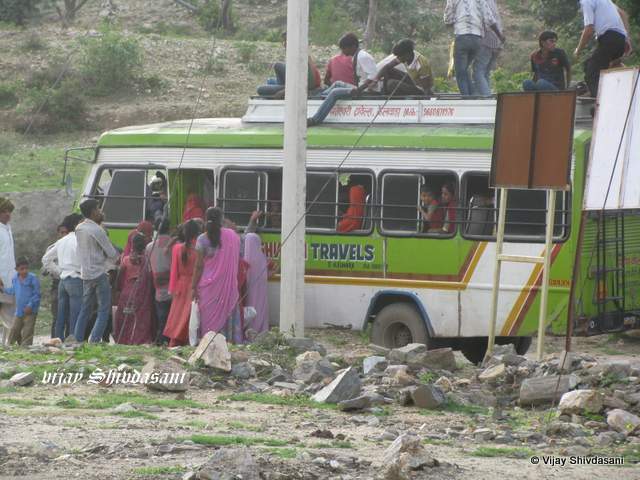 A local bus at Kumbhalgarh. The region is a paradise for bird watchers. You get to hear the piercing call of the peacock though they may not always be visible. There are plenty of other birds like the bulbul, cuckoo, wood pigeon, weaver birds, and jungle quail which you can easily see and hear. Sometimes you can hear the ‘whoop whoop’ call of the langur monkey in the distance. 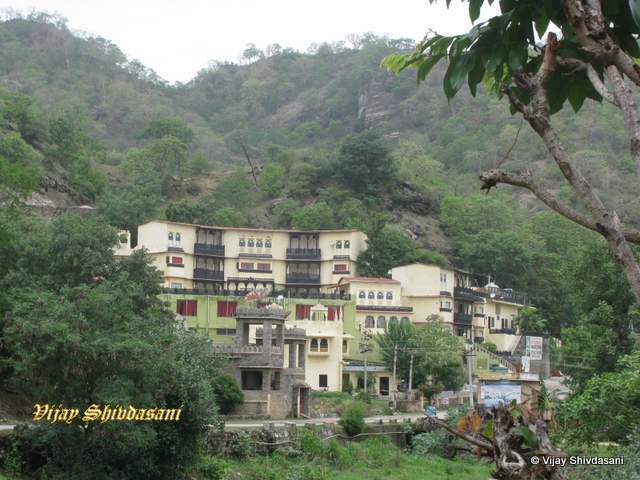 Kumbhal Castle & Kumbhal Palace Resorts. 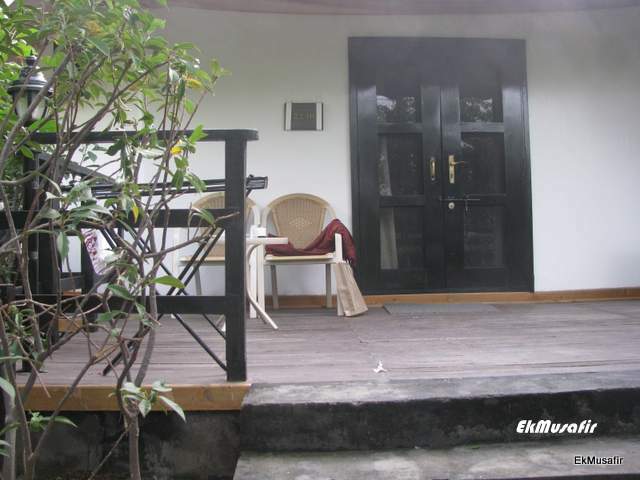 Besides our morning and evening walks we had a generally restful day at our Club Mahindra resort. We went to the activity centre and saw the beautiful creations the Molela potter had produced from clay and terracotta. 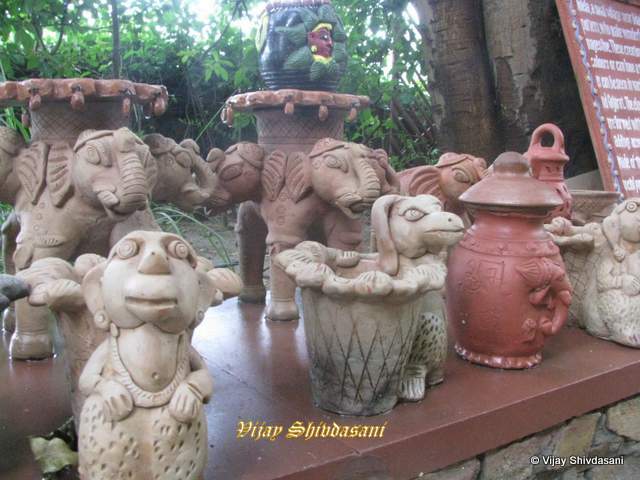 Molela is a small village near Haldighati and is famous for its red clay and its talented artisans. You could choose any of the figurines on display and the resident potter would teach you how to make it….for a fee, of course. 19-July-2014: Saturday: A visit to the Kumbhalgarh Fort. I had a refreshing morning swim in the resort pool. It opens at 8 am and is almost empty till around 10 am. After breakfast the little kids come with Daddy to play and frolic in the water. We had our breakfast of snack toast and muesli in the kitchenette of our studio apartment and then packed up and shifted to our tent. We relaxed a while savouring our new surroundings. Our tent was at the outer edge of the property with the hills behind us and the jungle on one side. 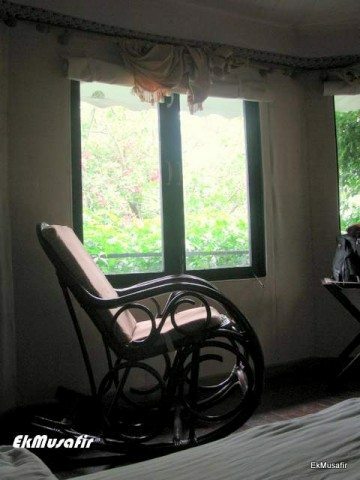 I sat on the deck chair and enjoyed the peace and serenity of nature enveloping us. Geeta sat inside the tent in the rocking chair and meditated for a while. The day was cloudy but not very rainy. So we decided to walk to the Fort. Around noon we started out on our trek to the Kumbhalgarh Fort. It took us about an hour and a half to do the 6 km since there was a gentle gradient all the way up and we took frequent stops by the wayside. This majestic hill fort is a UNESCO World Heritage site. It was built in the 15th century by Rana Kumbha and is also the birthplace of Maharana Pratap, the great warrior king of Mewar. 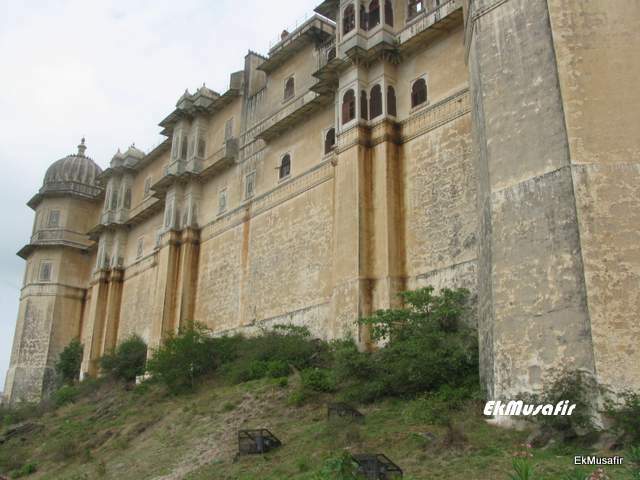 It is the 2nd largest fort in Mewar after Chittaurgarh, and also has the 2nd longest wall in the world (after the Great Wall of China), running along its boundary for 36 kms. The fort is built on a hill at a height of 1100 metres and requires a considerable effort to climb to the top. But once you are in the palace at the top of the fort, also known as ‘Badal Mahal’, you are rewarded with awesome views of the forested Aravalli hills, with the Mewar region on the eastern side and Marwar region on the west. The forests surrounding the fort comprise the Kumbhalgarh Wildlife Sanctuary which is home to leopard, sloth bear, monkeys, wolf, jackal, sambar, peacock, jungle fowl and a host of other birds and animal species. 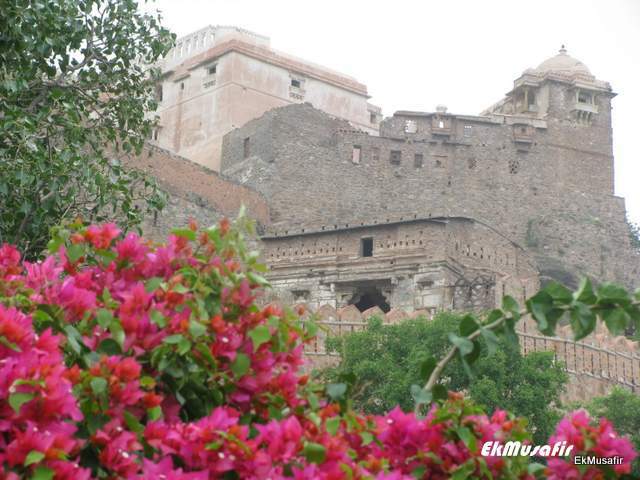 It is worthwhile for a tourist to spend at least one day at Kumbhalgarh. 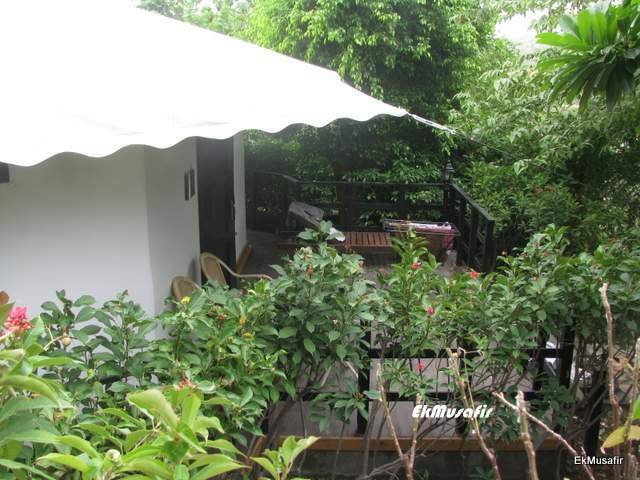 He can arrive here from Udaipur or Ranakpur and have some refreshments at one of the two restaurants at the base. There is a nominal entry fee and parking charges to be paid before entering. Guides can be made available for a fee, if you ask at the counter. 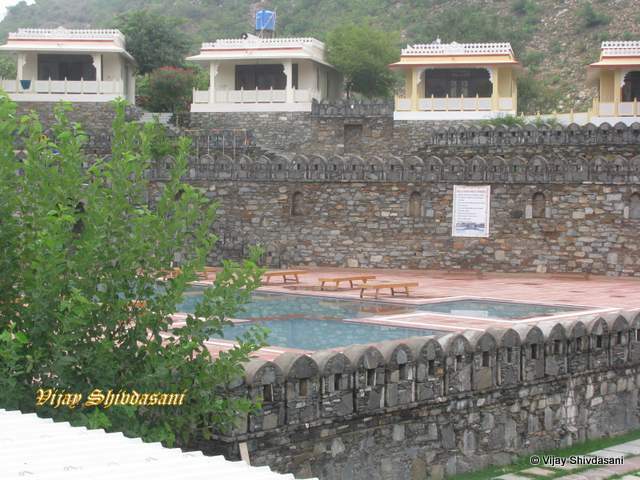 There are many Jain and Hindu temples near the base of the fort. It takes between 30 to 60 minutes to reach the top of ‘Badal Mahal’, depending on how much time you spend at each of the many sights and views on the way up. It is a stiff climb but there are benches and boulders beneath shady trees, where you can sit and catch your breath. When you reach the top you are literally blown away by the views and the wind! Every evening there is a Light and Sound show (chargeable) where the story of the fort and its erstwhile rulers is recounted in an open air amphitheatre. 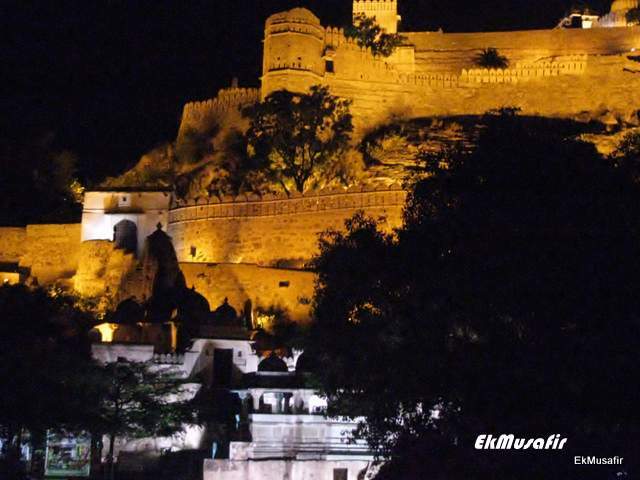 You are transported into the past and the old history and events of Kumbhalgarh Fort comes alive. It is quite impressive, and worth waiting for at the end of the day. But to witness this show one must spend the night in a nearby hotel, or drive back to Udaipur in the dark. 20-July-2014: Sunday: A Day of Relaxation. 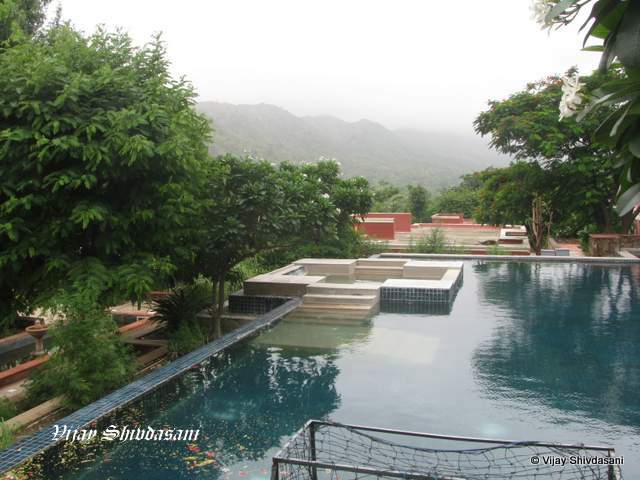 It was the last day at Kumbhalgarh and we spent the day relaxing at the resort. I went to the pool and had my usual morning swim. After breakfast we sat outside our tent under the canopy of leaves and watched the birds flitting around. I noticed a flying creature darting quickly from one flower to another. 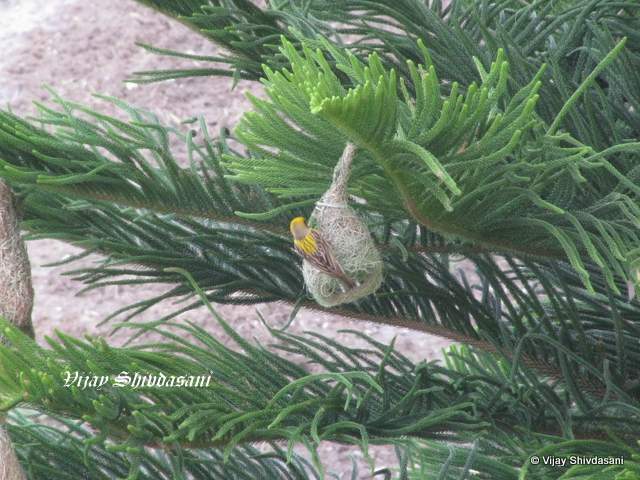 It was too small to be a bird and too large to be a bee. I couldn’t get a clear snap as it was moving too fast. Later I found out that it is actually a large moth known as the the humming bird moth. Trying to photograph the humming-bird moth. 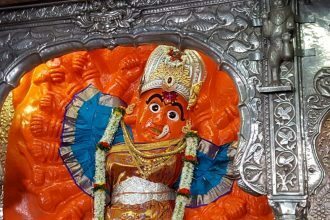 The Parshuram Mahadeo Temple, about 13 km from the resort, and the Ranakpur Jain Temples, about 60 km away, are some of the other places to visit nearby. 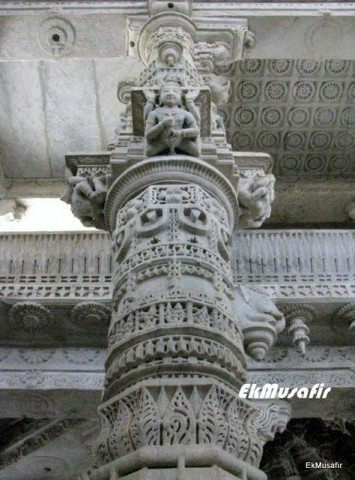 We had already visited Ranakpur during an earlier trip and it is indeed a place worth seeing. This is a beautiful temple complex, built in the 15th century, standing in the middle of the forests about 90 km from Udaipur. We had hired a taxi from Club Mahindra Fort Kumbhalgarh and it took about an hour to reach here. The route was quite scenic as we drove through the Kumbhalgarh Wildlife Sanctuary. All the temples and the dharamshalas stand in a walled enclosure. Just outside is a Hindu Temple dedicated to the Sun God. There are three Jain Temples dedicated to Rishabhadeva, Neminath and Parsvanath and have exquisite and intricate carvings in white marble. The main temple, called the Chaturmukha Adinath Temple is dedicated to Rishabhadeva, or Adinath, the first of the Jain Tirthankaras. With its 29 halls and 1444 distinctly different carved pillars, it is an astounding monument. 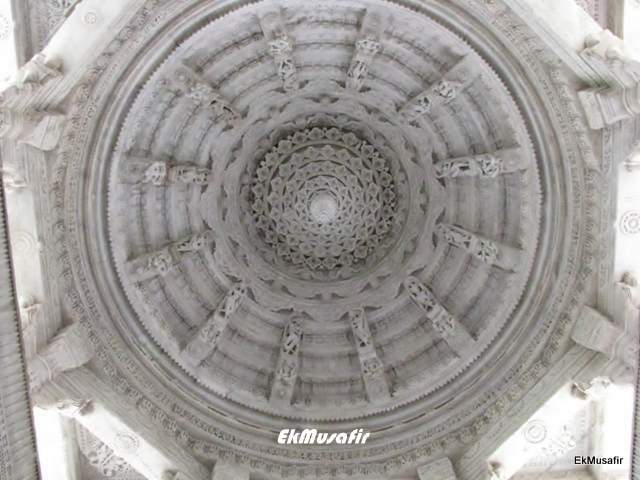 Even the domed ceiling has exquisite carvings in marble. A carving in the ceiling. The temple opens at 6 am, but non-Jains are allowed in only after 12 noon. Entry to the temple is free, but you have to pay for your camera. You are still not allowed to photograph the main idol, though. Security is very strict and you have to deposit everything, including water bottles, at the entrance. The pujaris are very attentive and respectful and even offer to show you around (pay as you wish). 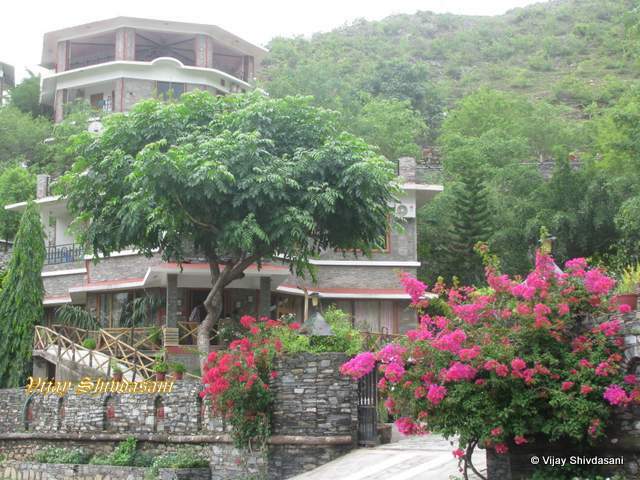 There are some good hotels for visitors who want to stay overnight or longer at Ranakpur. These include the ‘Fateh Bagh Hotel’, a luxurious heritage palace, and the ‘Maharani Bagh Orchard Retreat’ which has pretty cottages set in a mango orchard. 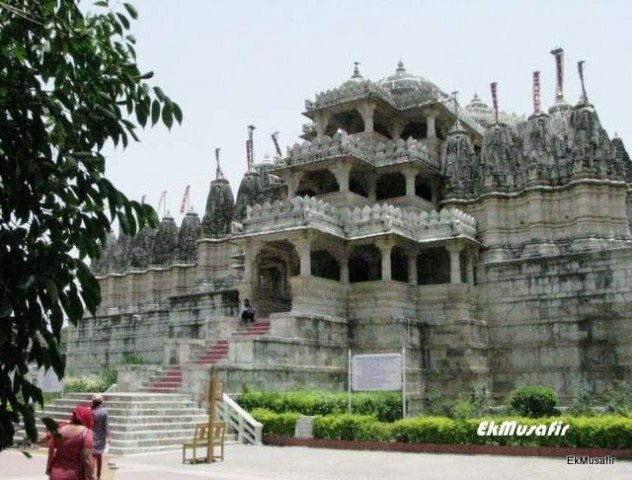 Ranakpur is an ideal place for a peaceful vacation with long walks into the forests. Resident of Pune. DoB: 20-Oct-1955, Besides Travel and Photography, I am fond of reading, writing, and playing chess. My infectious love for travel has also spread to my wife and daughter, and we start planning for our next trip as soon as we return from one. Memories of Mewar (III): Udaipur, City of Lakes and Palaces. Memories of Mewar (II): Kankroli, Nathdwara, and Sajjan Garh (Udaipur). A good, fluid read. I like the way you have captured the entire experience, not just the place itself. Have been to Ranakpur long back but could not find the time then to do Kumbhalgarh. Certainly on my list now! Kumbhalgarh (the fort and the wildlife sanctuary) and Ranakpur Jain Temples and the jungles around it are certainly worth visiting, not only for the architectural grandeur of the monuments, but also for the beauty and serenity of the natural surroundings. 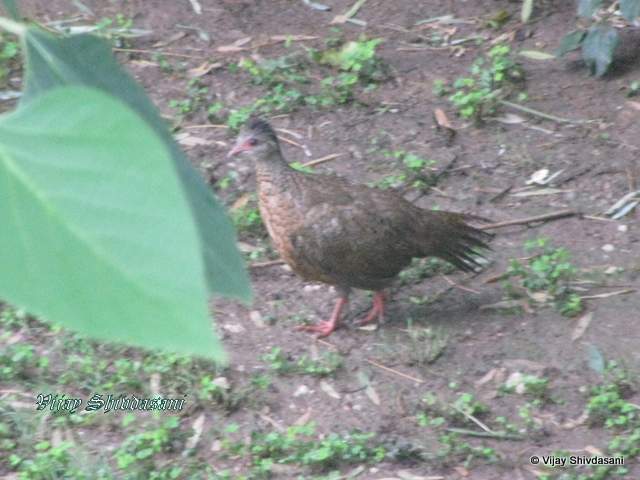 Do you think it could be the red Spurfowl? Instead of the Jungle Quail? I may be wrong…! I think you hit the nail on the head; it does look more like a red Spurfowl rather than a Jungle Quail! After taking the snap I couldn’t quite get the name of the bird, after searching for similar bird images. I’ve edited the caption. Thank you, Naturebuff! Now I know whom to contact to put my birds in the right cages! AH! 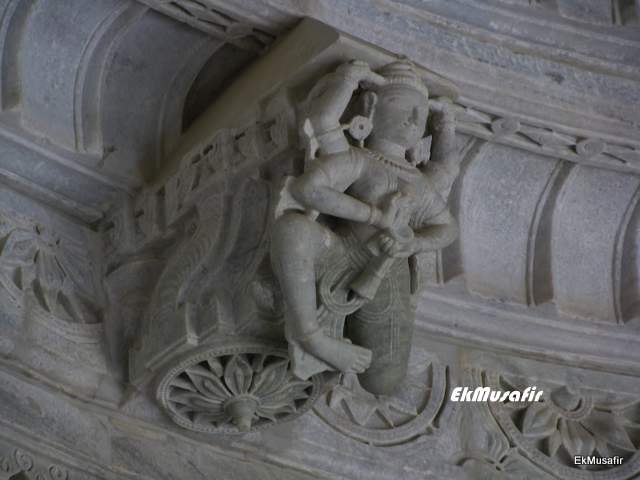 What a wonderful photographs of the Place, Fort, temples and carvings. So nice to read and know about it. Surely goes to my wishlist too. Thanks for reading and appreciating, Anupamji. Mewar is a beautiful part of Rajasthan. Thanks for reading and appreciating, Pamelaji. Long time Vijay. 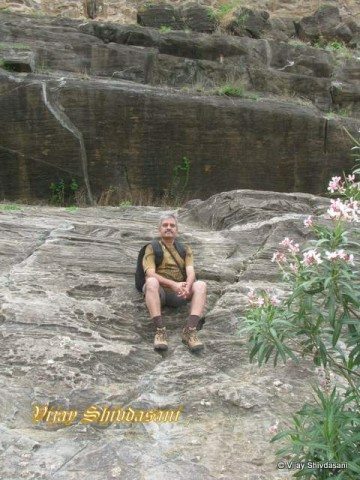 Never been to Kumbhalgarh though I visited Udaipur a few times. The resort looks good. The pics of other resorts might help fellow travellers towards planning a trip. Some pics are watermarked as ‘Ek Musafir’, I am guessing that it is someone you know else we should rather take those off. Wishes. Thanks for reading, and for your suggestions regarding the photos. 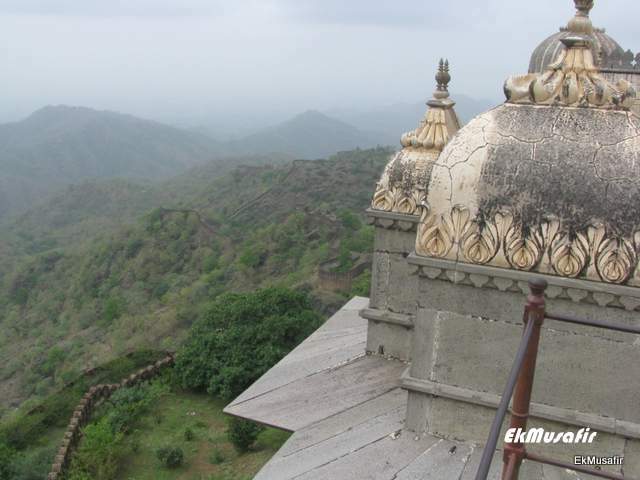 Kumbhalgarh is good for treks and long walks along the hillside and up to the fort and beyond. ‘Ek Musafir’ is none other than yours truly. I write under this name on TripAdvisor.